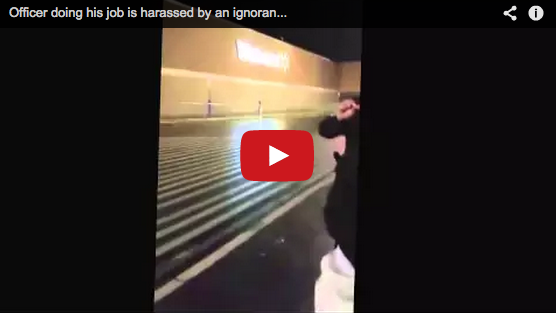 Black Friday Shopper Accuses Police Of Trying To “Mike Brown” Him. During the madness that can be called Black Friday, a security team in a Pennsylvania Walmart had suspicion of a potential shoplifting attempt. They called the police and officer Michael Manfredi and his partner responded to the call. What happened next was dramatic and unnecessary. In the video you can see the interaction between the alleged shoplifter and the police. This was all shot by the suspects friend, in what appeared to be an attempt to antagonize the police officers into doing something unlawful. This becomes more apparent later in the video. The officer repeatedly asks to see the receipt for the purchases that are in the suspects cart. The man then refuses to show the officer his receipt repeatedly, as well as the Walmart employee that is checking receipts at the door. Officer Manfredi was apparently an arresting officer on one of the man’s cases before and maybe that is why he was so willing to put up with the man’s relentless taunting. The officer keeps his cool through the whole video and eventually lets the man go without examining the receipt. Even though the fact that he wouldn’t show him the receipt is reason enough to lawfully investigate the man’s purchases. We should all defiantly be aware of our rights and use them when necessary, but this was clearly a man taking advantage of a horrible situation that took place in our country. Clearly the officer seemed to be one of the good ones and didn’t deserve this type of treatment. What do you guys think? Do you think the cop handled this situation in the right way? Check out the video below, share this article and let us know what you think.